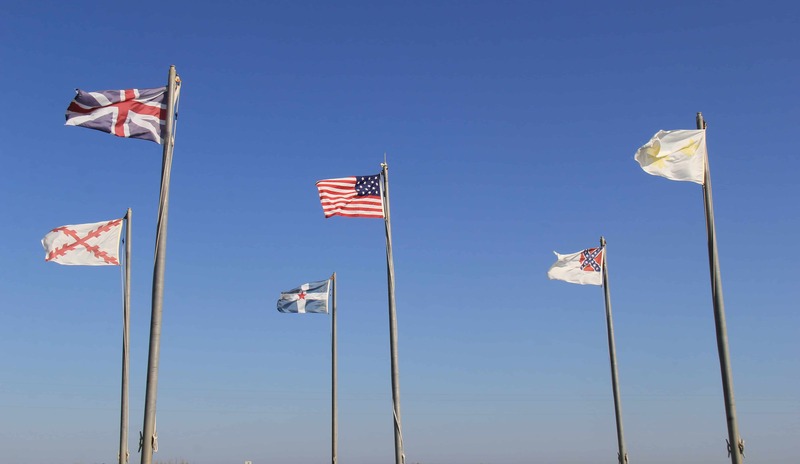 The first powerful image that moves me at Fort Morgan is the grouping of colorful flags flapping loudly in the stiff, salty breeze rolling in over the ocean. Spanish, French, British, American, the Republic of Alabama, Confederate of Alabama, and the State of Alabama-they greet me the moment I step out of the car. My drive here proves to be an easy one. The scenery heading West on Highway 180 is peaceful-a straight shot from the resort where I’m staying. 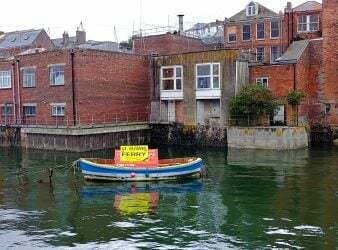 If I turn my head to the left, rows of attractive homes remind me of orange, raspberry, lemon and lime sherbert. 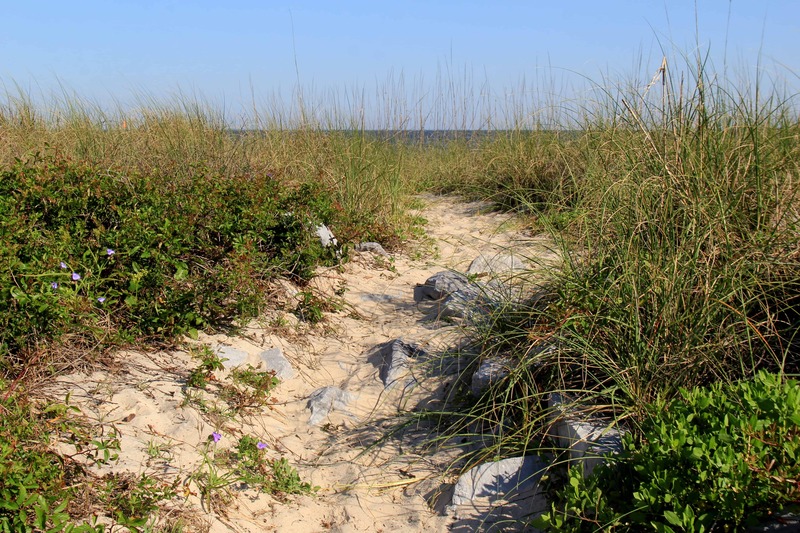 If I look to the right, the scene that greets me is miles of seagrass, dunes, an expanse of deep blue Alabama tide. 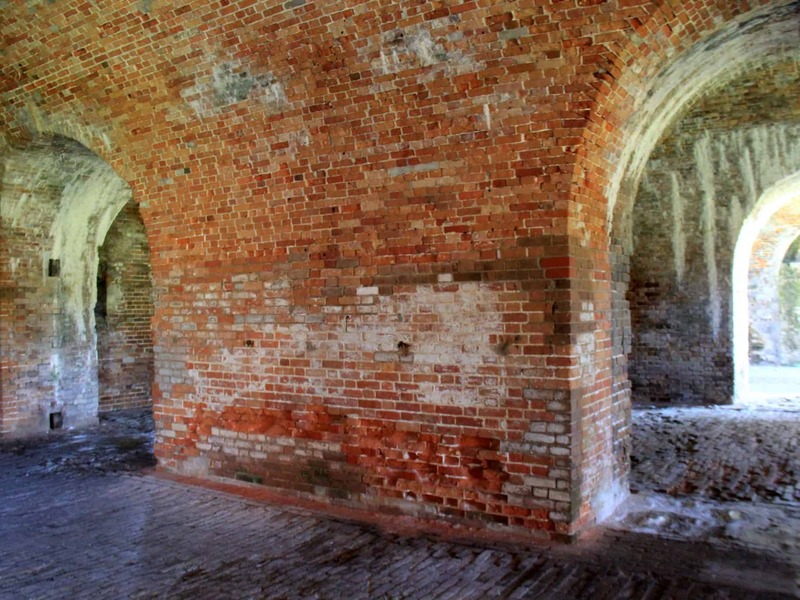 In 1819, the construction of Fort Morgan, a pentagonal five-bastioned citadel began. 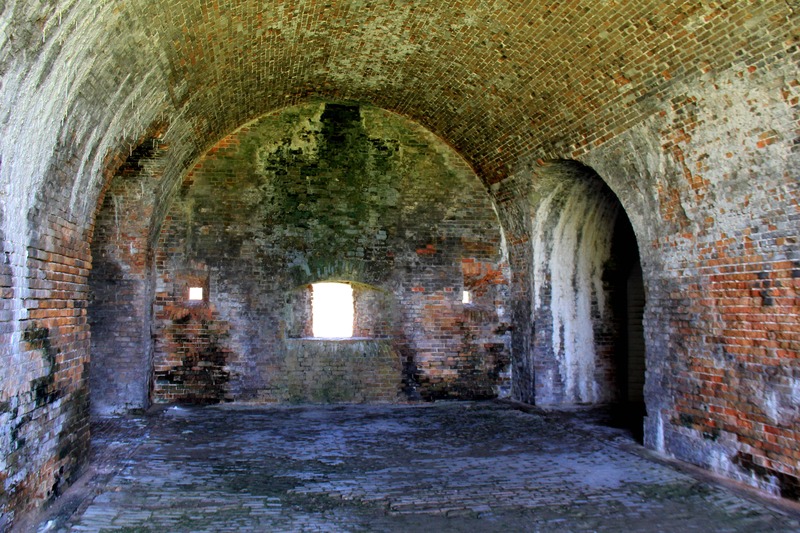 Designed by the US Army Corps of Engineers, a branch of the military who’d recognized its strategic importance early on-built mostly by African-American slaves-the massive fortification’s purpose was to guard any approach made by sea to the entrance of Mobile Bay. Named after Revolutionary War hero General Daniel Morgan, the fort would also become a staging area for the forcible removal of the Creek Indians to Indian Territory further west, in what became known as The Trail of Tears, years later. Today I am overwhelmed with the sheer size of it. 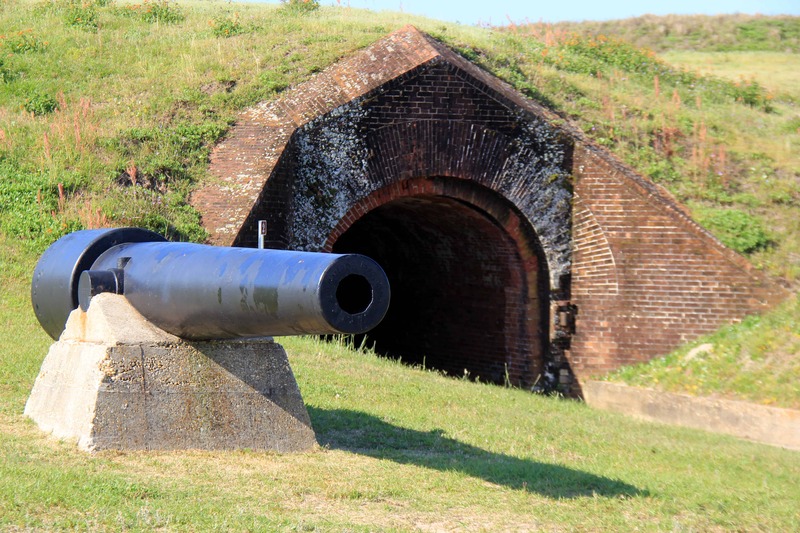 The knowledge that Fort Morgan was an intricate part of both the Civil War, Spanish-American War, WWI, and WWII-when the military returned the fort to the state-its role in America’s coast defense now at an end-seems astounding. 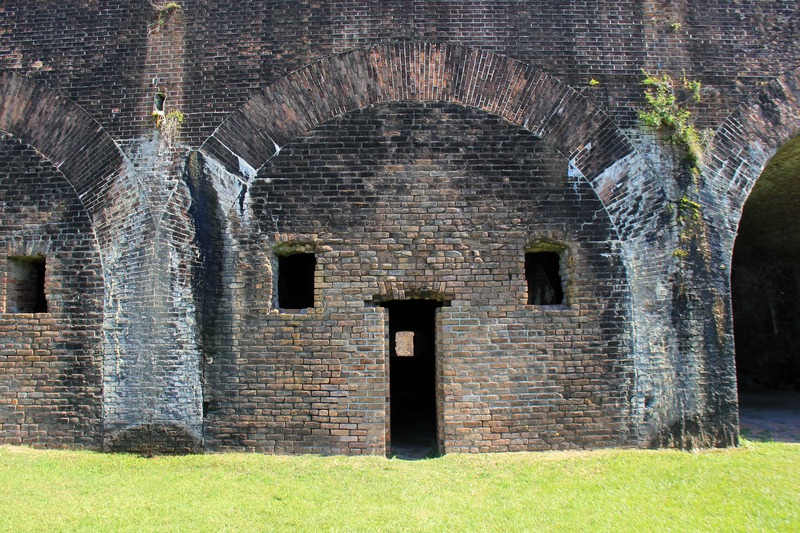 As we walk through the ruins, speaking of the fort’s impressive history, I wonder aloud about ghosts from the past. With so many bloody battles won and lost here, it makes sense to me, that some residual energy from those who’d perished sill lingers. My tour guide is thoughtful for a moment before he begins to speak. He explains that the natives were adept at living in the harsh climate of Mobile Bay. But soldiers and the settlers who came with them to the area struggled every day. Seasons were unforgiving. Storms battered the peninsula. 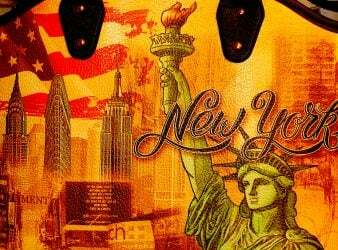 Loneliness led many towards hopelessness and alcoholism. Tantamount to the military was the need for fresh water, and there was precious little of that. He tells me about the unfortunate death of Lieutenant Colonel Charles S. Stewart in April of 1863, when an unbanded 32-pounder cannon exploded upon firing, sending large fragments over the entire area. Every man in the crew was either killed or seriously injured. 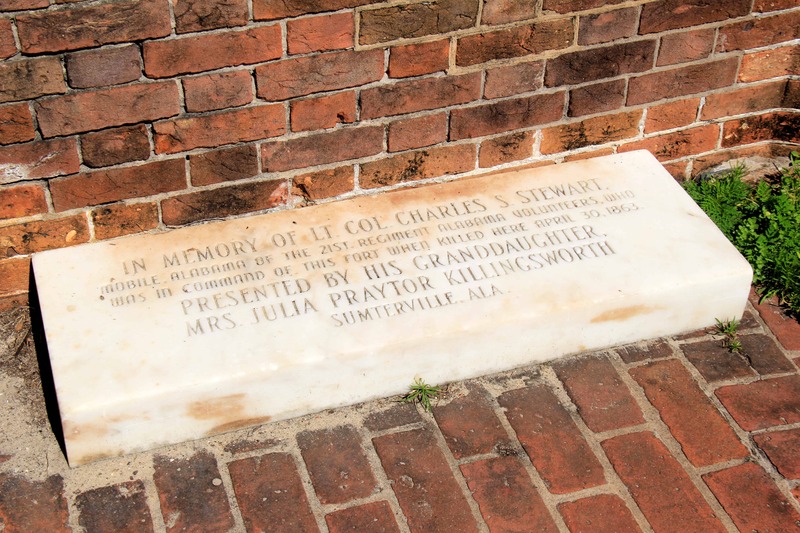 In the case of Stewart, a large piece of the cannon, weighing over 200 pounds, struck him and severed his head completely from his body. The garrison was devastated by the sudden death of their commanding officer. In a show of respect, flags were at half-mast for three days. 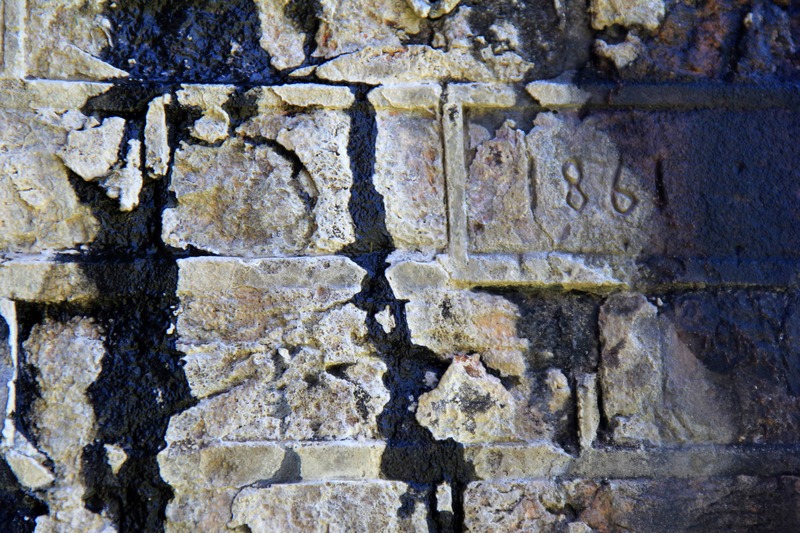 Those assigned to the fort wore black armbands for thirty days. Many of the buildings we wander through have disintegrated over the years. Wind, rain, time, and other elements have left their mark on each. Some structures were used to store gunpowder, foods, enlisted troops, and items they needed for everyday survival. I stand on the bluff looking out over the water, where the USS Tecumseh struck a mine during The Battle of Mobile Bay, killing most of its crew, sinking to the ocean depths as a result. My fingers trace various dates carved in stone or brick, tell-tale signs that a particular section of the fort was now complete. 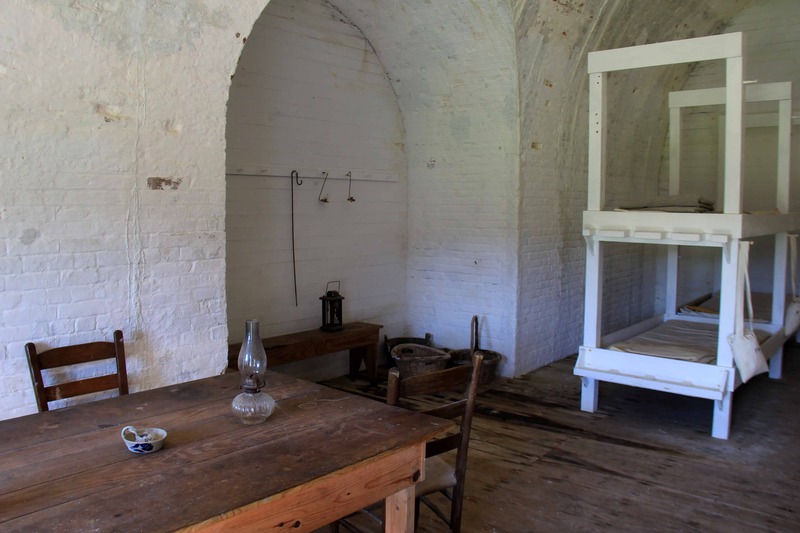 We tour the laundry area, then the stark sleeping quarters of soldiers. The large room seems to vibrate with feelings of isolation they must have experienced during life here. A set of bunk beds that slept many, one shared washstand, and details of poor hygiene amongst all helps me visualize what conditions must have been like at the fort during that time. As we turn to make our way back towards the parking lot, closing the door to this building behind us, my tour guide looks at me the same moment I’ve turned to stare at him. “Did you smell that?” He asks. “I’m pretty sure I caught a whiff of sage,” I reply. We share a smile and keep walking. A visit to the museum when you visit Alabama is a must. 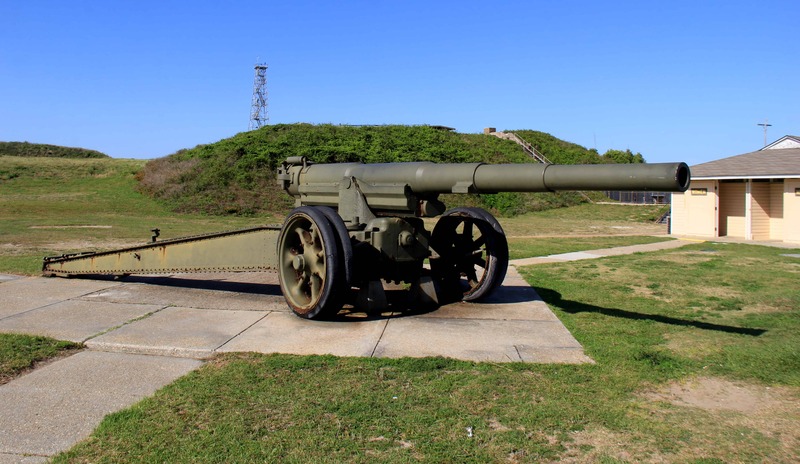 It boasts a collection of Civil-War documents, papers from the late-nineteenth and twentieth centuries highlighting its importance as a coastal artillery base, and a compilation of photographs relating to the fort. There are also several artillery pieces on display ranging from the birth of Fort Morgan through WWI. Read more about historic sites in Alabama by feature writer Gwyn Goodrow on Milesgeek.